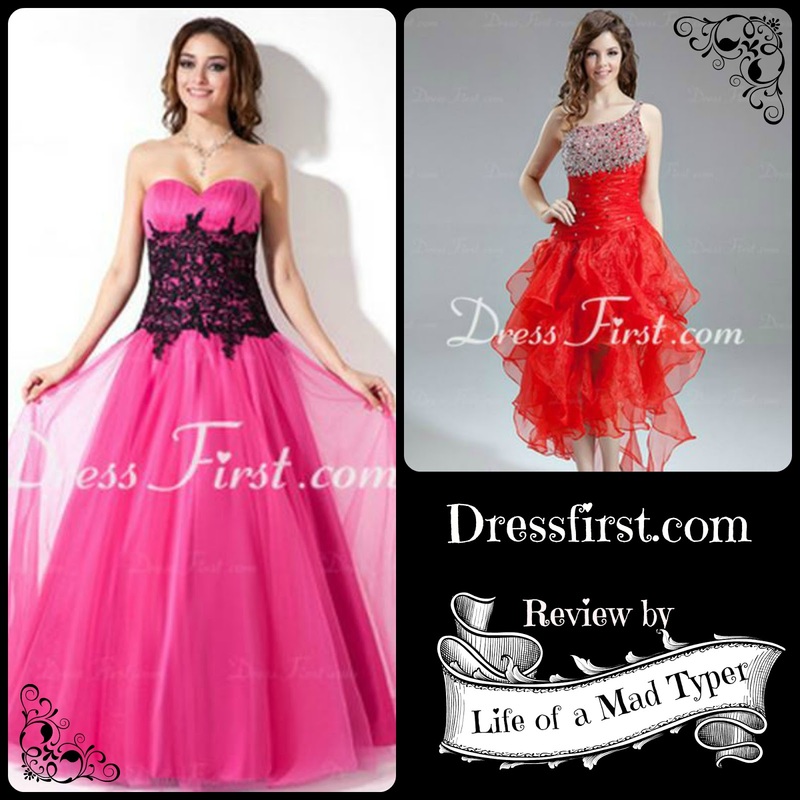 Life of a mad typer: Dressfirst review. The perfect prom dress is calling you. Dressfirst review. The perfect prom dress is calling you. The following post is a sponsored post. All thoughts are my own and are not influenced by others. Prom time is almost here and it's a magical time for most girls. A time you have dreamed of for most of your life. Depending on where you live the selection may be quite limited and the prices high. I remember my own prom and having the most horrible time dress shopping. I ran into the issue that my smaller town didn't have the size options that I needed. After many days and visiting every store in town I found 2 dresses that fit me, both in the same store. 1 was a discontinued dress (and let me tell you no wonder it was discontinued it was made of what felt like old stuffy curtains) it itched, wasn't what I liked but was in my price range. The second was a plum empire waisted dress with a flowy layer over the dress that split in the middle. It fit like a dream and made me feel like a princess. The problem? It was more than double my limit at almost $400. In the end I got my dream dress after telling my Aunt's and uncle's who then gave me birthday money that I used to get the dress combining it with what my step dad would put towards a dress. I got lucky but many girls don't and I have found the perfect solution for this issue thats affordable and has so many choices you are sure to find the Prom dress that will complete your dream. Dress First has dresses starting at size 2 and going up to a 26W. They often run specials of free shipping on their dresses. The thing that impressed me the most other than their size availability was the sheer affordability of the dresses! There is only 1 dress currently in the prom section thats over $250!!! Almost the entire prom inventory is under $250!!!!! So don't settle for less than you deserve because Dress First has the perfect prom dresses 2014 for you! I LOVE the teal and black dress you posted! So pretty! If only I wasn't pregnant!